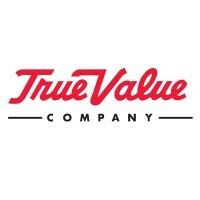 True Value is considered as one of the leading hardware retail companies in the US and worldwide. It has opened over 4,000 stores around the globe. The company was founded in 1948 in Chicago, Illinois by John L. Cotter. It is a company founded on the understanding that customers appreciate and give notice to high quality products, outstanding service and value advices given by the experts. Today, about 2,500 True Value Associates have joined the company. On March 2018, the company has been awarded as a Customer Service Champion in the Summit Chamber of Commerce conference in the US. The company gives importance to its employees, whom they call their associates. Associates are given a comprehensive healthcare plan, 401(k) Savings Plan, paid leaves and wellness program. Discounts and exclusive offers are also given. Associates love working at the company because of the worth that the management gives to them. The company offers competitive wages, great benefits and a good work atmosphere allowing people to grow and achieve their full potential. How old do you have to be to work at True Value? The minimum age to be able to work at True Value is 18 years old. Applicants should have at least a high school education or an equivalent to be accepted. The company offers wide-ranged career options to choose from. There are entry-level job positions as well as managerial and corporate level job opportunities. Below are some of the available positions with their job descriptions. Merchandise Handler: A merchandise handler oversees the safety of unloading the merchandise from trailers, transfer of cartons and products, and tracking the goods received based on invoices or purchase order forms. Making sure that the stocks are placed into their proper storage areas and that they are properly documented are also part of the responsibility. Associate Communications Specialist: An Associate Communications Specialist is responsible for the strategic analysis of communication ideas presented by management team. Drafting regular communication tools like social media posts, external presentations, feature article for magazines and press releases are also part of the job. Customer Support Representative: The Customer Support Representative provides support to local and international customers about memberships, products, programs offered and consumer events. The representative will also handle inquiries from vendors and third party business companies associated with the company. Tracing shipments, resolving technical issues and coordination with all management levels are also part of their responsibility. Rental Sales Representative: The Rental Sales Representative provides support to retailers, operators and the management for search of new franchises and direct sales. They also actively promote the company’s brand name and draft agreements for new franchises. They should represent the company well in every aspect. Utility Worker: A Utility Worker’s role is to maintain the cleanliness and safety of the hallways, floors, stairways and rooms of the facility. Managing any spill and handling hazardous material concerns are also part of their responsibility. They should abide with the company’s standards for safety, order, and cleanliness. Warehouse Supervisor: The Warehouse Supervisor manages the workflow of associates and area supervisors. Monitoring and evaluating performances, making sure that high quality service is observed, and implementation of rules and regulations on the platform are part of their job responsibility. Office Clerk – Shipping: The Shipping Office Clerk monitors and checks outbound shipment of the merchandise. They make sure that data collection is complete and is properly encoded on the company information system for fast tracking. The Office Clerk is also responsible for printing outbound paper works and filing of reports for proper documentation. Data Processing Clerk: The Data Processing Clerk is responsible for the input of data in the computer system. They will also monitor the company’s hardware systems, which include the mainframe system and the personal computers of all employees. Minor troubleshooting and maintenance of equipment are also part of their duty. Clerk for Inventory Projects: The Inventory Projects Clerk is responsible for monitoring transfers and debits of accounts, proper channeling when addressing vendor issues, and cycle counting. They also prepare forms, organize records and verify any information obtained from the system. Transportation Clerk: The Transportation Clerk works under the Office Manager and the Area Transportation Manager and will help to organize and monitor store delivery routing and other store delivery concerns. Additional duties include making sure that the delivery process is compliant with the federal and state requirements. To apply, applicants need to join hiring pools through online search tools. Applicants may do a search based on location, prospect position, date posted and other information. Applicants may drop their resume or application form in retail stores; however, an online application is preferred. Career opportunities with detailed information are available online for easy application. The company prefers application for specific positions rather than sending one for general opportunities. The company also recommends that the applicants should send a complete profile data with resume on their online recruitment platforms for easy candidate review. For applicants, resumes should be in brief yet informative format. A chronological, descriptive list of relevant experiences should also be included. Educational attainment and related trainings may also be included. The candidates scheduled for an interview should be in the facility 10-15 minutes before the scheduled time. This will give the applicant ample time to prepare for any additional hiring requirement and check any other forms to be filled out. The company values diversity and inclusion. The company supports various efforts to promote cultural diversity and unity among everyone in the workforce community. The company also encourages cultural awareness for all associates to feel accepted and included in the community. Every year, True Value continues its tradition to recognize stores that are outstanding in various areas like customer support, high-revenue performance and many more. In 2018, the event was held in Washington D.C. from February 9 to 12. The company is not only known for its wide range of hardware supplies and equipment but also for its excellent customer service and how it takes care of its associates. The company supports various organizations and movements that are geared towards people empowerment. Among the groups that they support are Empowering Women’s Network, Posse Foundation and Chicago Scholars. 1 How old do you have to be to work at True Value?